What Home Improvements Give the Best and Worst Return on Investment? 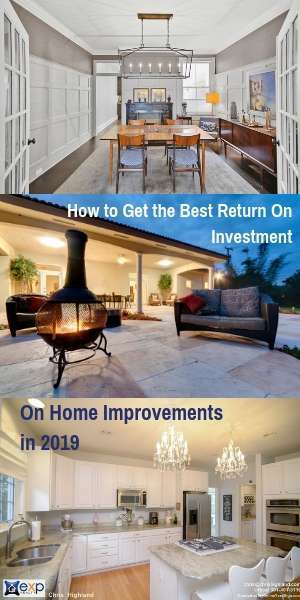 Home improvement return on investment (ROI) is an important subject for homeowners to research, whether you’re thinking of selling in the near future, or staying for a while. Making wise improvements will add lasting value to your home, and if done right, will also net a good ROI. While home values are recovering in our Frederick Maryland market, many owners who purchased since the early to mid- 2000’s have been resigned to stay in their homes because they owe more than the house is presently worth. They realize that since they will be staying in their home for a while, they might as well make improvements that they will enjoy. Others are improving their homes to make them more market ready when they decide to sell. Either way, it’s always a good idea to maintain and repair your home at all times during the years that you own it. When upgrading a home, it is always wise to keep with the standard of the neighborhood, or of comparable homes in your market, if you are concerned about return on investment. Whatever the reason, making careful and thoughtful decisions about home improvement ROI is very important if you want to get the highest return. Generally, home improvements do not bring the full return of the cost at the sale of the home, but some improvements bring a better return than others. Some improvements are simply necessary to make the home more attractive to today’s buyers, no matter what the ROI. 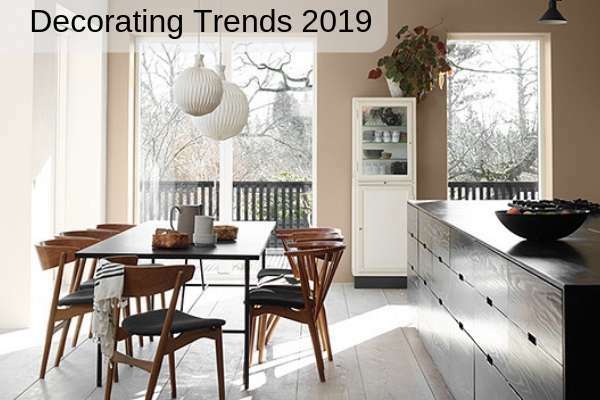 Remodeling Website is a resource that I like to consult, both to find current trends and data, and to publish here on my blog as helpful information to homeowners. Remodeling has published the 2018 Cost Vs. Value Study results, comparing the average cost for 29 popular remodeling projects with the value those projects retain at resale in 99 U.S. markets. See the Remodeling Website for the full list of projects and the ROI of each. You’ll also find how-to articles, products and lots of other resources. There are good articles about aging in place and renovations that might be necessary, as well as simple solutions that might not require a full renovation. Universal Design is a newer topic in the Cost Vs. Value Study, as more boomers are choosing to age in place. As you can easily see by this report not all home improvements give equal return on investment. In most, but not all cases higher-end improvements got a lower return on investment than improvements in the mid-range cost. Generally speaking, minor renovations usually net a higher ROI than major renovations. Adding full additions also gives a lower return. Regardless of the return, some projects help sell a home more than others, regardless of the ROI. Some home improvements are absolutely necessary to get the highest sale price for a home. How does a homeowner navigate the home improvement waters? We like to say that “kitchens and baths sell homes”. They are generally the more expensive rooms in a house to update. Even when updating those rooms, a homeowner must always consider their home in comparison to like homes. Homes that would be the “competition” when you are marketing your home for sale. This includes homes in your neighborhood, price range, year built, home style and square footage. The most important room in the house when you consider value is the kitchen. Unless your kitchen is very outdated, a total renovation is unnecessary. Start with the least expensive projects, like updating the lighting. Bright, modern light fixtures can make a big difference. If you need new appliances, consider what style of appliances looks good in your home. Stainless Steel is still very popular, but there are lots of choices these days, many not expensive. Don’t skimp on the refrigerator…most new home kitchens are outfitted for a 36 inch model. Countertops are one of the most important considerations in updating a kitchen. The sheer size of the space dominates the room visually. Although granite has become popular, there are many other choices that look just as good, like soapstone, quartz, or even concrete. There are several solid surface products that look great. Flooring is also important in the kitchen. The kitchen is the hardest working room in the house, so the floors must be durable. And beautiful. Engineered hardwoods are great for the kitchen on both counts, but they are the most expensive. Natural stone and porcelain tiles are classic, and add value to your home, but there are lots of other options. Today’s laminates look vastly different than they used to and are durable and easy to install. Paint is the cure to many ills, including the kitchen. It also has the best return on investment when you consider the cost and ease of the task. 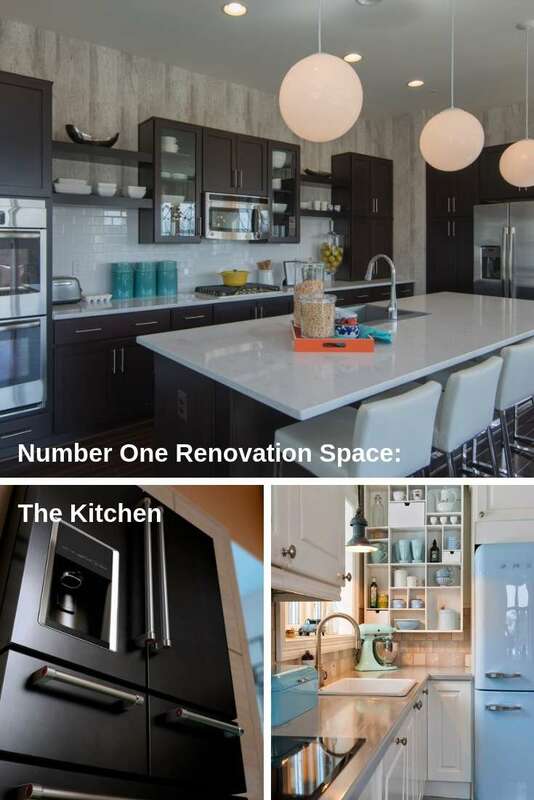 With today’s open floor plans, make sure your kitchen colors flow with the rest of the house. Lastly, consider the layout of your kitchen. People spend a lot of time in the kitchen, and most expect an eat-in area. Does Remodeling the Bathroom Increase Home Value? investment. As in the kitchen, start with updating the lighting. Task lighting and overhead lighting are both important. Make sure your mirror(s) are in good shape and well-lighted. Then move on to the hardware. Simple changes like the cabinet hardware, towel bar and switch plates are easy to do but add to the overall appeal. If you need to change out the cabinets, there are many stylish and affordable choices at your local home improvement box store. Fresh paint in a soothing, zen-like neutral shade is the most cost effective way to add value to a bathroom. Modern bathroom design trends are moving towards a bathroom that fits in with the decor in the rest of the home. Today’s homeowners are demanding more style choices, more elegance. Take a look at your bathrooms and look for ways to add stylish features that blend with the rest of our home. Lastly, do the small repairs that need to be done. Replace cracked tiles, leaking faucets, and slow-running toilets. Tune up the grout. Dirty grout is not only a turn-off, it suggests to buyers a lack of maintenance. If you’re the DIY type, get some kneepads and tools and get that grout gleaming again. Be sure to apply sealer, so you won’t have to do the job again so soon. Change out hardware and lighting fixtures. It’s time to take care of damaged, worn and dated, or mismatched items: doorknobs, cabinet pulls, light switches and plug-in plates. These are an easy fix and will give your home an updated look. Updating, refinishing, and deep-cleaning your flooring will add value to your home. Dated carpet must go. Hardwoods should be in great condition, and your color choices should fit in with a modern overall decor. Paint. It’s quick, easy and inexpensive. In choosing a color, consider how the color makes a room “feel”. If your room is small, remember that lighter, cooler colors make the walls recede, adding a feeling of more space. While the cost vs. payback factor is important in planning renovation projects, it shouldn’t be the only consideration. For homeowners who are renovating to be able to age in place, or who need to care for an elderly family member, other issues may be more important than return on investment. If you are remodeling to add a home office so you don’t have to commute, the return for that investment is more than the actual home value, it is the value of time added to your day. For some projects, the satisfaction and quality of life while living in a house that you love is the main priority. Homeowners should always consider the trends in their market, in their neighborhood and in their comparative price range. Renovating far above the standard of homes in your area may produce features in your that you absolutely love, but you should understand that you won’t likely get the return on investment that would make the renovations the best financial decision. In that case, make sure that you are doing renovations only for your own enjoyment. With some exceptions, home improvements on your personal residence are not deductible on your taxes. They can however, be tax benefits when you sell your home. The costs of some home improvements can reduce capital gains you may face when you’ve sold your home. Here’s an example: Fred and Wilma bought a home for $500,000 and sold it 20 years later for $900,000. During the time they owned their home, they made $100,000 worth of improvements, including a kitchen and bath renovation, a new deck and fence, as well as some other improvements. These added $100,000 to their “basis”, making it $600,000. They subtract this from their sale price, reducing their capital gains tax. Some energy efficient upgrades are tax deductible. You can use a one-time credit on your Federal taxes of 30% of the cost of solar, geothermal, wind or fuel cell tech added to your home. These tax breaks are always subject to change, so be sure to check the IRS website. If you have a home office you can deduct any improvements you do to the office. You can also deduct a percentage of any overall improvement according to the square footage of your home office…for instance a new HVAC system. It benefits your home office space, which maybe is 15% of your home’s square footage, so you can deduct 15% of the cost. You can deduct improvements on your home for medical reasons. Making your home handicap accessible with ramps, lowered cabinets, or widened doorways, for instance. 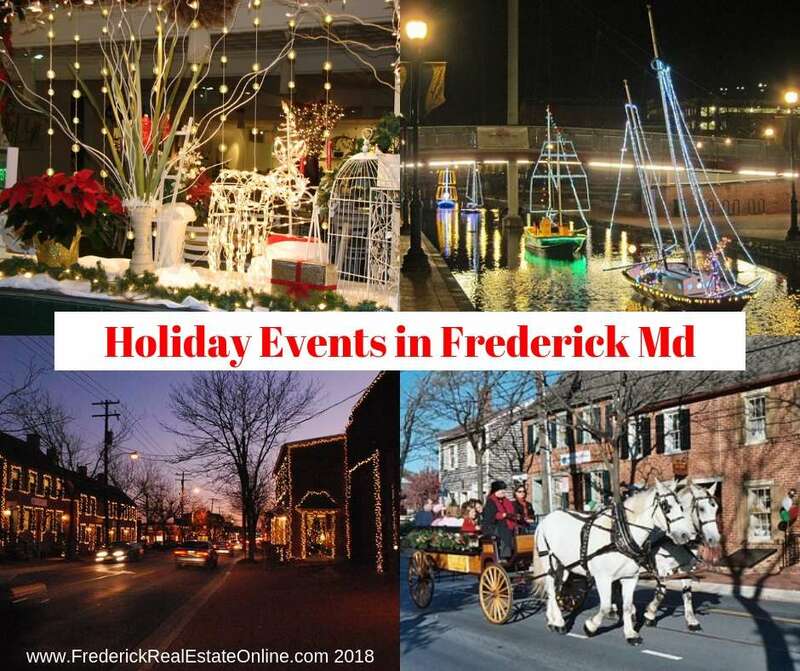 The Frederick County Historic District Tax Credit provides a five-year decreasing credit on improvements made to existing structures within the historic district. It is for residential and commercial properties downtown. After 26 years of working with home sellers in the central Maryland area, it is always a challenge to interact with homeowners who have spent too much money on the wrong renovations and home improvements. They often expect to get their money back on those expenditures when they sell their home. There are some home improvements sellers should avoid if they want to get the best return on investment. If you are planning a renovation, do yourself a favor and consult your local real estate professional before you take the plunge. 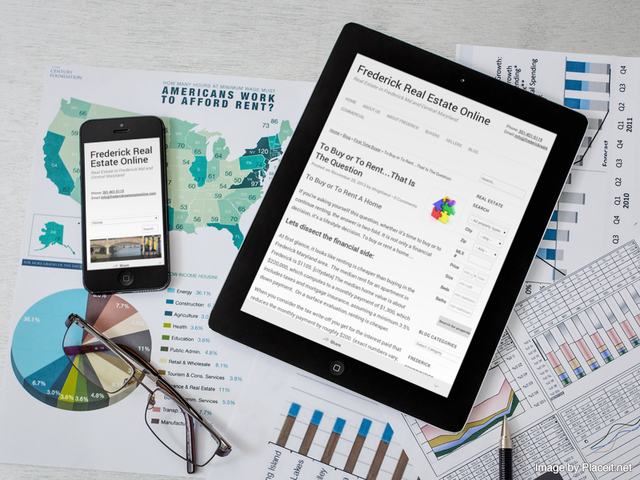 Find out what today’s buyers are looking for, as well as what home improvements are trending in your market. You’ll save yourself some money and you’ll be confident that you are investing wisely. 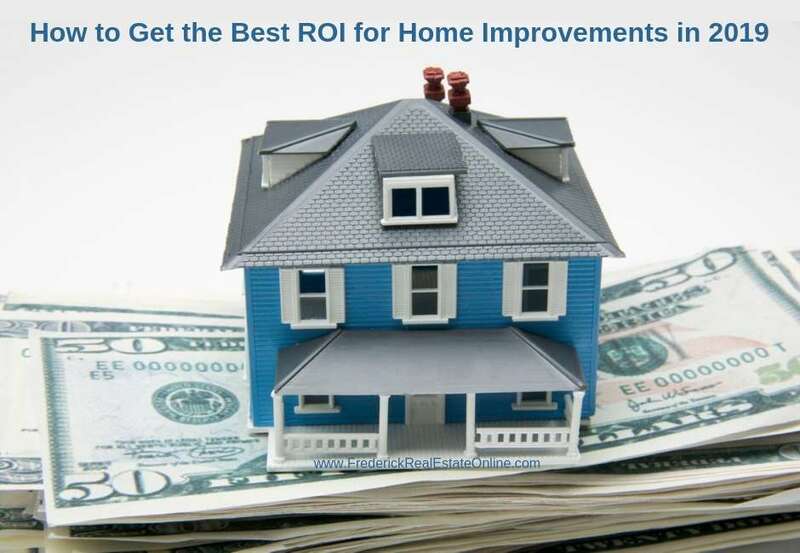 Getting the highest home improvement ROI is a wise move. Home Improvement Projects That Could Impact Your Home’s Value via Bill Gassett, Metrowest Massachusetts Real Estate Agent. Some home “improvements” can actually lower your home’s value. Yes, there’s such a thing as too much…and other great tips. Four Home Improvements that Can Help a Home Sell Quicker, by Anita Clark, residential real estate agent in Warner Robbins Georgia. 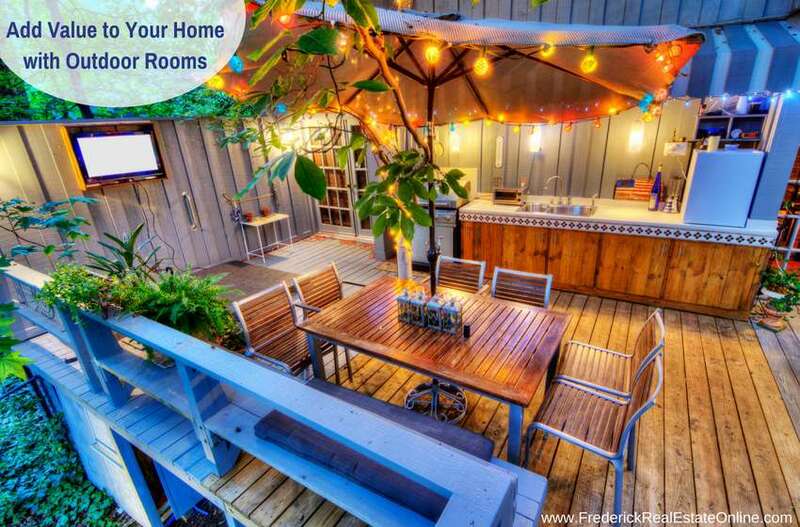 Anita points out home improvements that will catch a buyer’s eye because they increase a home’s functionality. Tips for Hiring a Home Improvement Contractor, by Paul Sian, Cincinnati Realtor®. Finding the right contractor to do work in your home can be a challenging task, but it will make or break your project. 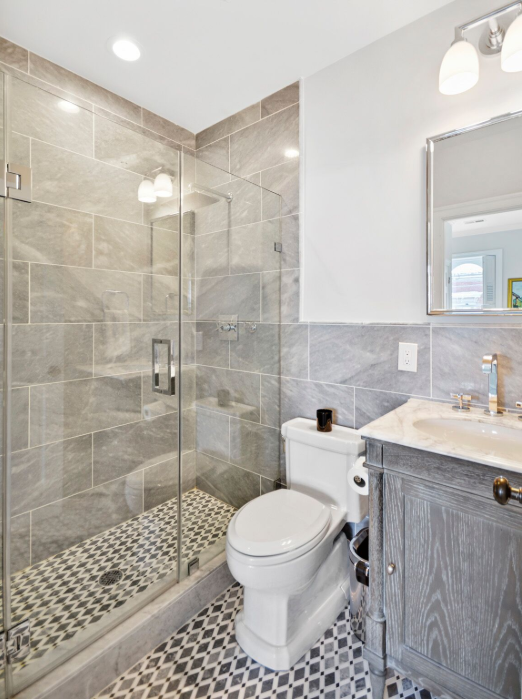 In these two articles, Bathroom Remodeling Do’s and Don’ts, and Profitable Kitchen Renovations, John Cunningham, Phoenix AZ agent gives some excellent advice on the the two most important rooms in the house. Home Renovations – Whether to Hire a Pro or DIY. A guest post from our favorite home inspector, Dave Goldberg, Reliable Home Services. Preparing Your Home for Sale – by Kristina Smallhorn, Ascension Parish, LA. 10 tips to prepare your home prior to listing. If you are planning a renovation, do yourself a favor and consult your local real estate professional before you take the plunge. Not all home improvements will get you the best ROI. You'll save yourself some money and you'll be confident that you are investing wisely. 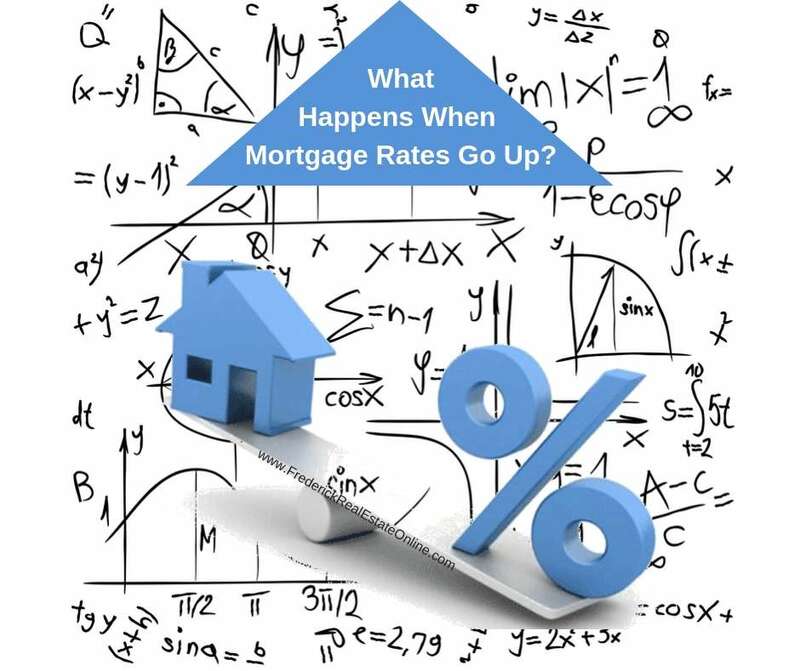 Previous Post: « What Happens When Mortgage Interest Rates Go Up?